Jewelry Storage Box Just $16.99! Down From $45! Shipped! 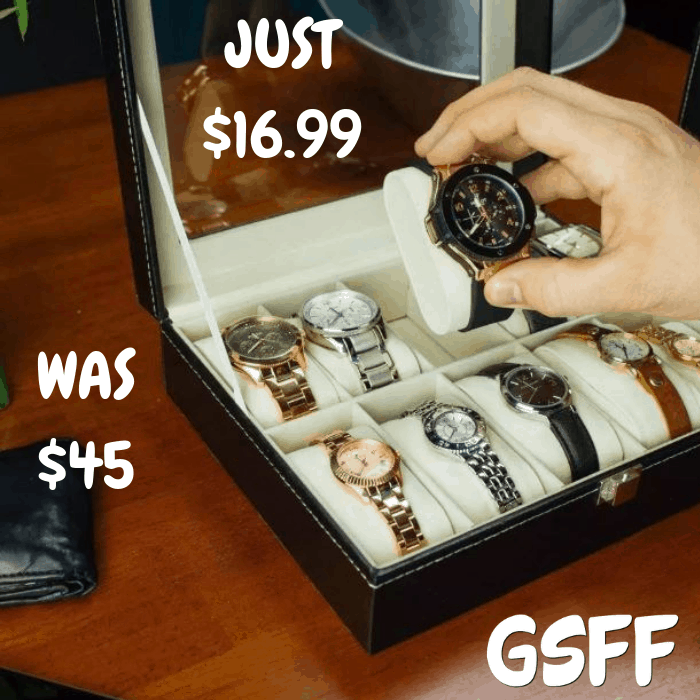 You are here: Home / Great Deals / Jewelry Storage Box Just $16.99! Down From $45! Shipped! For a limited time only! Jane has this Jewelry Storage Box on sale for just $16.99 down from $45 PLUS FREE shipping! If you have a propensity to collect watch, and you’ve already possessed various watches, how to arrange those gadgets? To well classify those watch and keep them in order, this 10 Compartments High-grade Leather Watch Collection Storage Box is really an ideal choice. It is particularly designed into 10 compartments for recognizing your watch. High-class leather makes this box soft, comfortable and decent as well. With opening style, it is quite easy to operate. Portable and practical!